3. 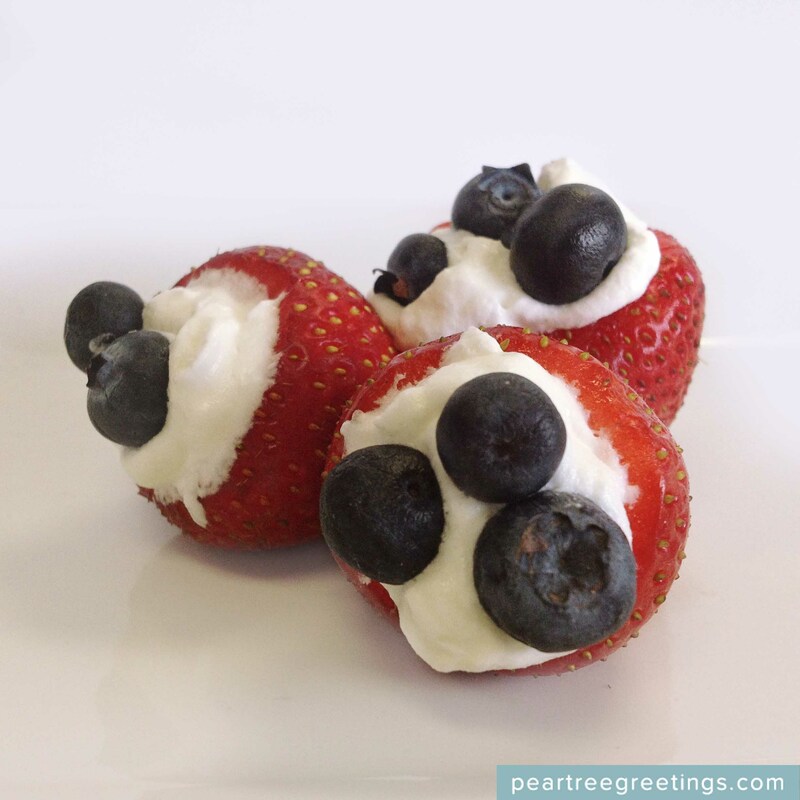 Filled Strawberries: these strawberries are nothing but red, white and blue to celebrate the 4th! All you have to do is cut off the tops of the strawberries, remove the inside (tip of a vegetable peeler works perfect), and add cool whip and blueberries to decorate. 4. American Flag Veggies: Similar to our American Flag Dip above, this American Flag used red peppers and cauliflower for the stripes, and we colored the veggie dip with blue food coloring. 5. 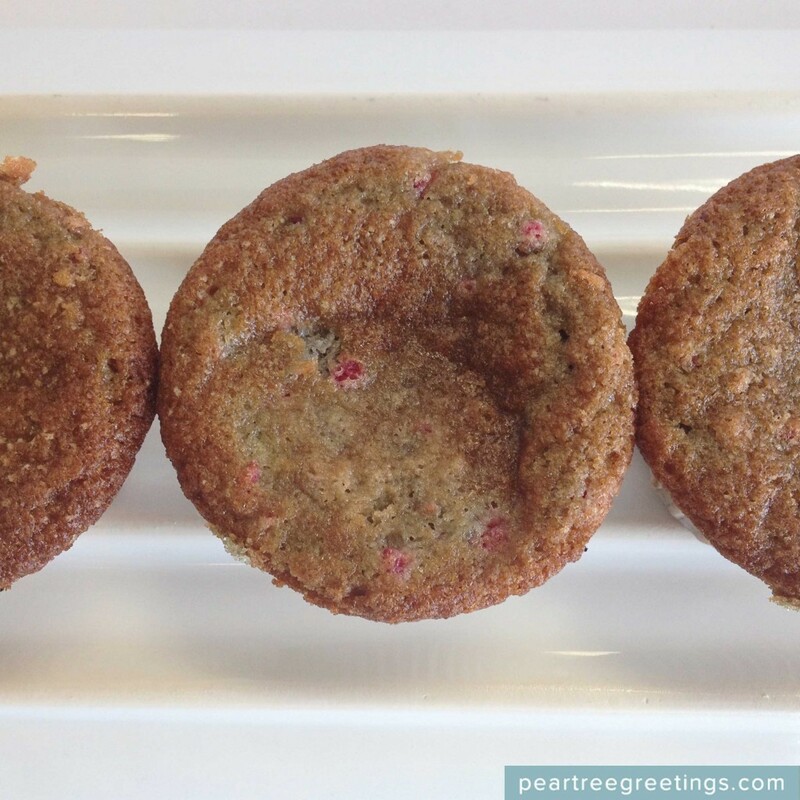 Patriotic Muffins: these delicious muffins were mixed with raspberries to give them a patriotic theme. Yum! 6. 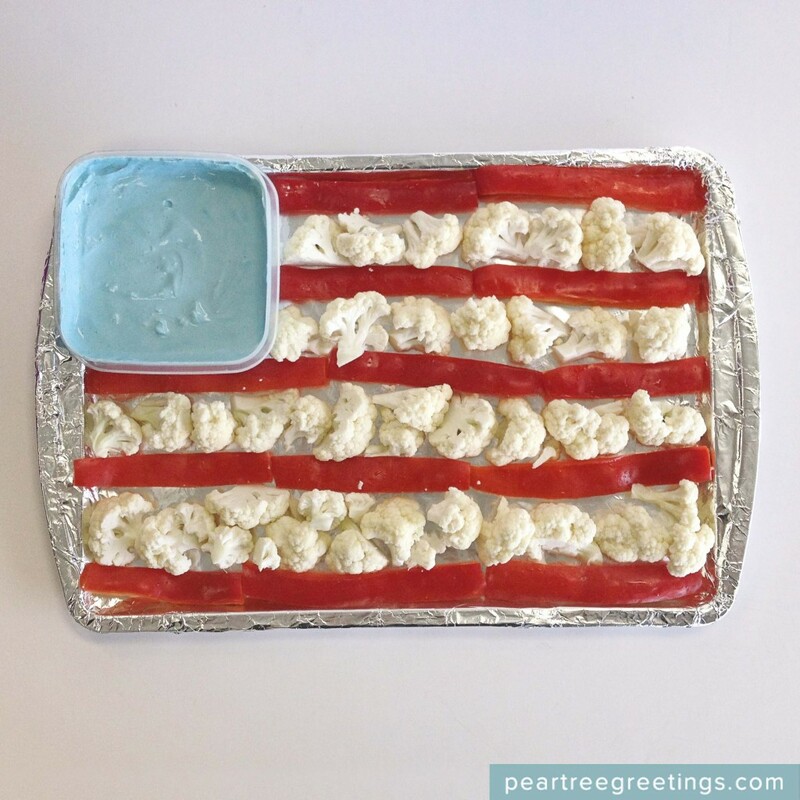 Red, White and Blue Pie-Cake: this cake is baked with two pies inside it and layered on top of each other. One is a blueberry pie and one a cherry pie. 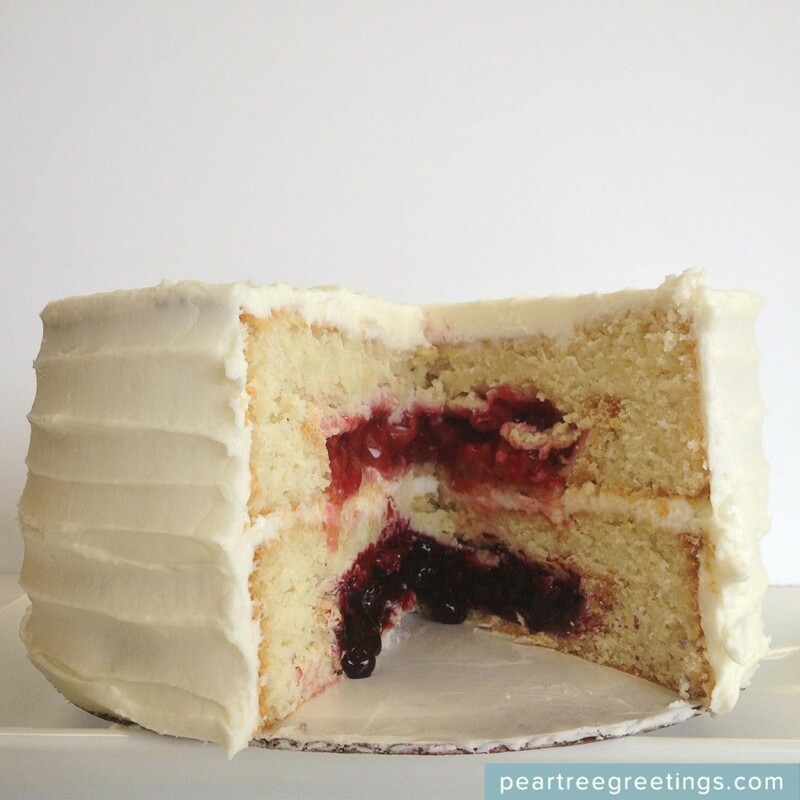 White cake was baked over the top and viola, you have yourself a red, white and blue pie-cake! Delish! 7. 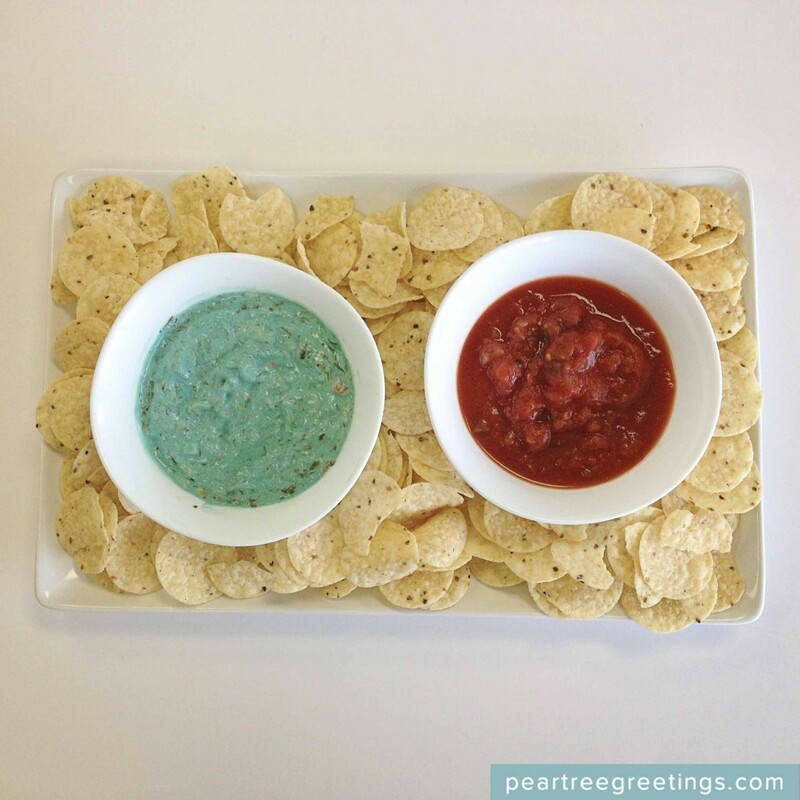 Independence Day Chip Dip: salsa, spinach dip with blue food coloring and white corn chips displayed nicely on a tray make a perfect and simple dish to bring to your 4th of July celebration. 8. 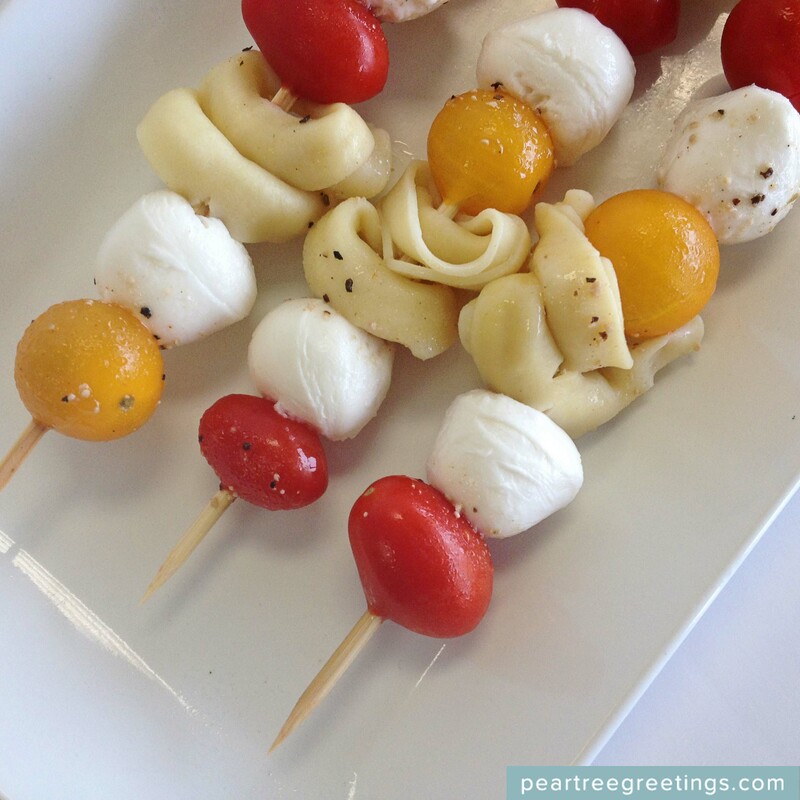 Pasta Skewers: these skewers were filled with red and orange tomatoes, mozzarella cheese and cooked tortellini. These are simple to serve for any outdoor party and taste great! 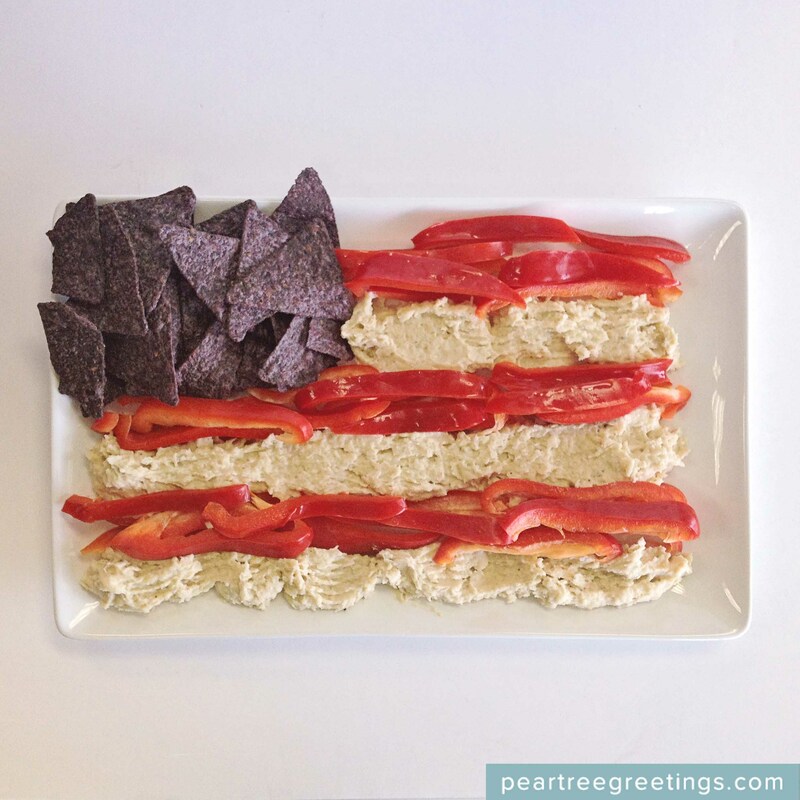 We hope these 4th of July food ideas gave you lots of ideas and inspiration for this year’s party. 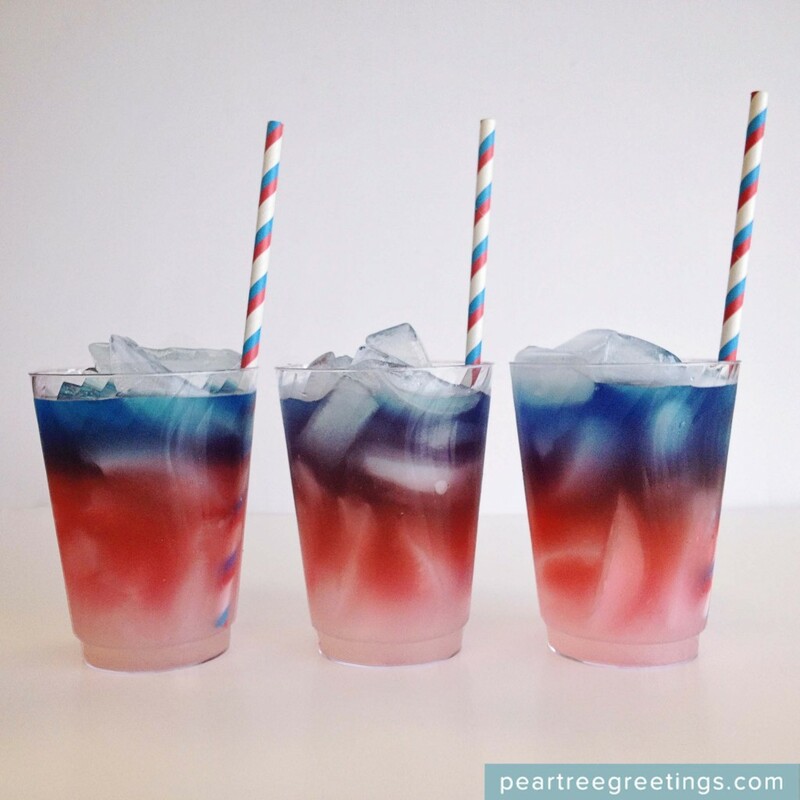 Don’t forget, if you’re hosting the 4th of July party be sure to personalize your patriotic party invitations!